168001 passes Hatton North Junction on 19 February 2008 with the 13:20 Marylebone to Birmingham Snow Hill Chiltern Railways service. 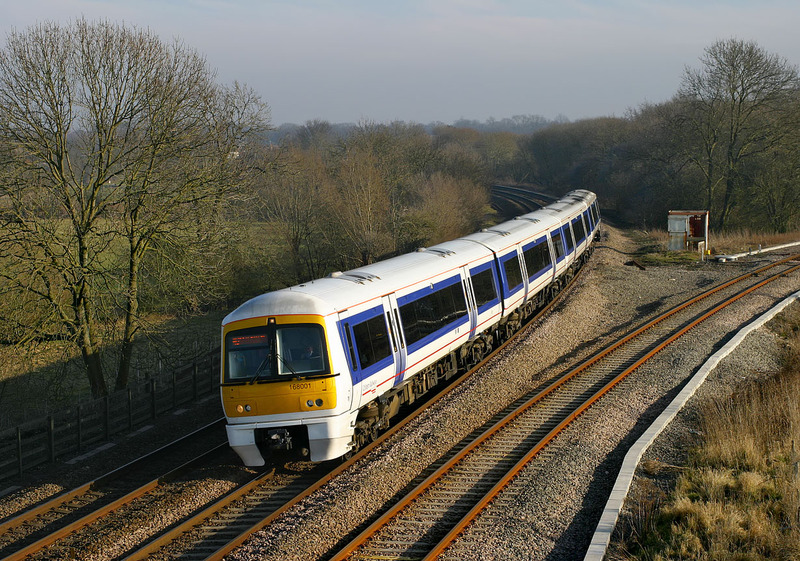 168001 was naturally the first of the class to enter traffic (in May 1998), but it was initially a three car unit, gaining the fourth vehicle a few months later, although that vehicle was swapped with another unit in 2002. Unlike their predecessors Classes 165 & 166, the 168s have had numerous unit reformations, even so early in their careers.